Former NFL wide receiver Don Beebe gives an inspirational talk about his journey through professional football. 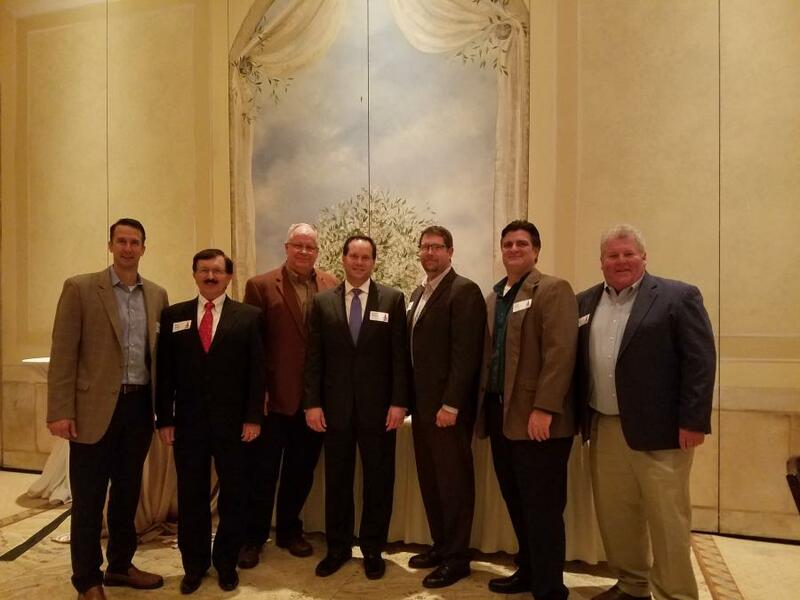 The Illinois Equipment Distributors held its annual Holiday Dinner and 2019 Board of Directors induction meeting Dec. 7 in Addison Ill. Outgoing President Bob Jones thanked the rest of his outgoing 2018 board — Kevin Ridens, vice president; Joe Stack, treasurer; Jim McCann, first-year director; Tom Stern, second-year director; and Joe McKeon, associate director — for their contributions to a successful year. 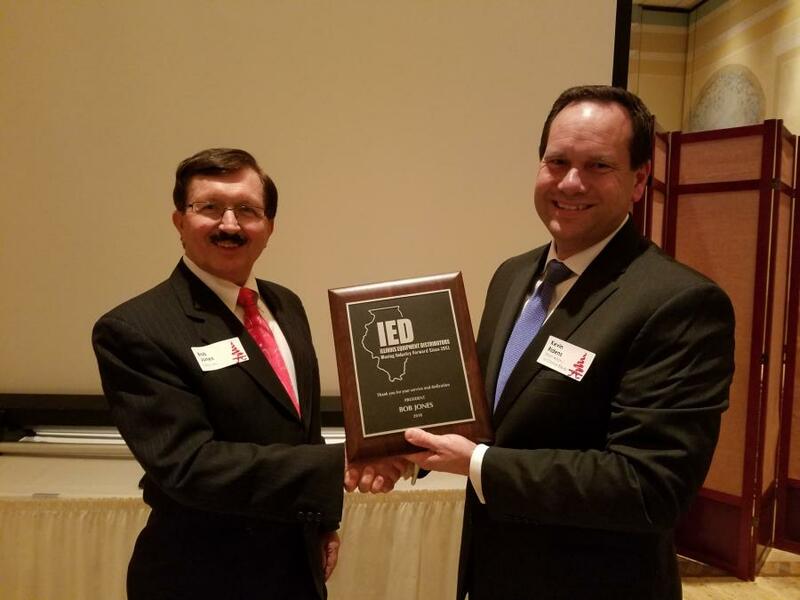 Incoming President Kevin Ridens presented Jones with a plaque and thanked him for his leadership during 2018. Ridens then introduced the members of the 2019 Illinois Equipment Distributors Board —Joe Stack, vice president; Jason Zeibert, treasurer; Bob Jones, first-year director; Jim McCann, second-year director; Steve Roggeman, executive secretary; and Joe McKeon, associate director. 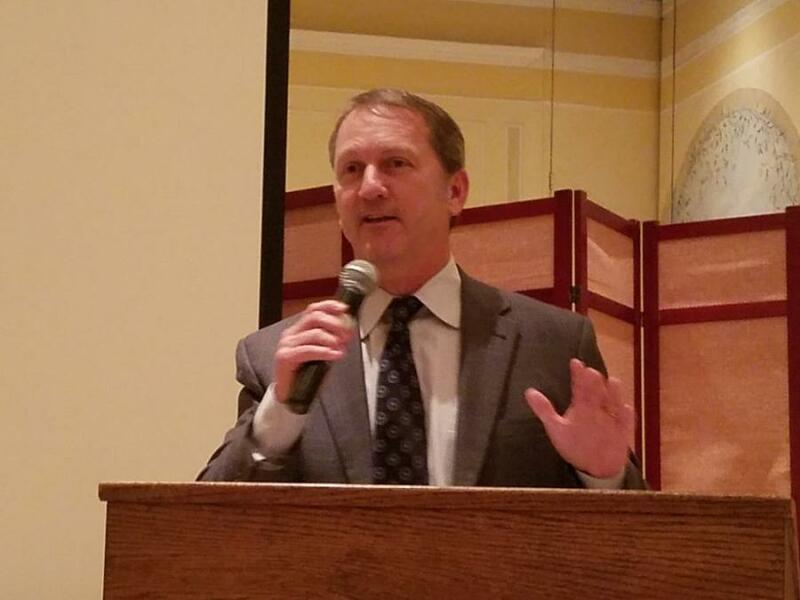 Following the festive holiday dinner, former NFL wide receiver and six-time Super Bowl participant Don Beebe gave an inspirational talk about his journey from humble beginnings to the highest levels of success in professional football, and then becoming a successful businessman and coach. After his talk, Beebe signed copies of his book, "Six Rings From Nowhere."